If you're a regular around these parts, you'll know the drill by now. 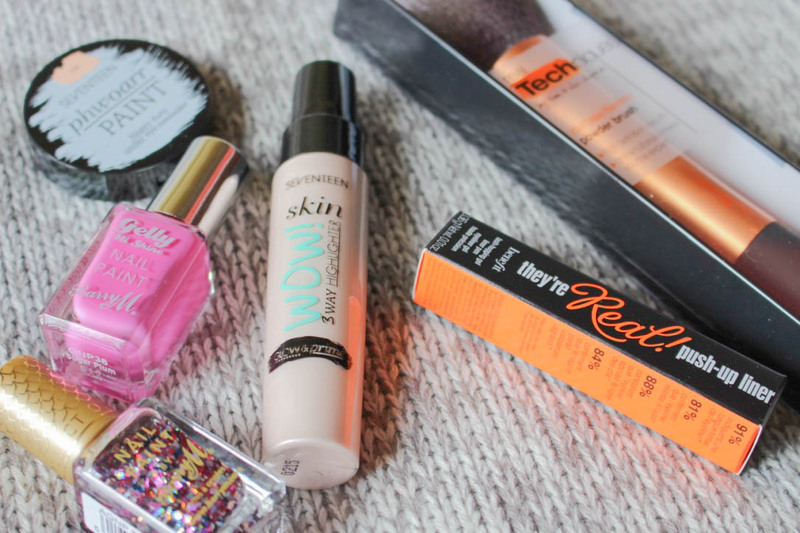 You pop into Boots for one thing, end up spending half an hour browsing and come out with a bag of new make-up goodness. It doesn't even seem that long since my last Boots Haul. I guess we'll start with the item I went in for, the Seventeen Phwoarr Paint Concealer (Fair). After discovering this concealer around a year ago via gh0stparties, I was instantly hooked and have came back to buy it again and again. Especially since it's one of the only concealers light enough for my skin colour. It's designed for use around the eyes to disguise dark circles, although it's creamy, yet high coverage formula is also fantastic for covering any blemishes or redness. Since Seventeen was doing a 'Buy One, Get One Half Price' offer at the time, I thought I'd give the Skin Wow! 3 Way Highlighter a go since I've seen it circulating around a few blogs and videos now. It's designed to use a primer, to mix with your foundation or as a liquid highlighter. 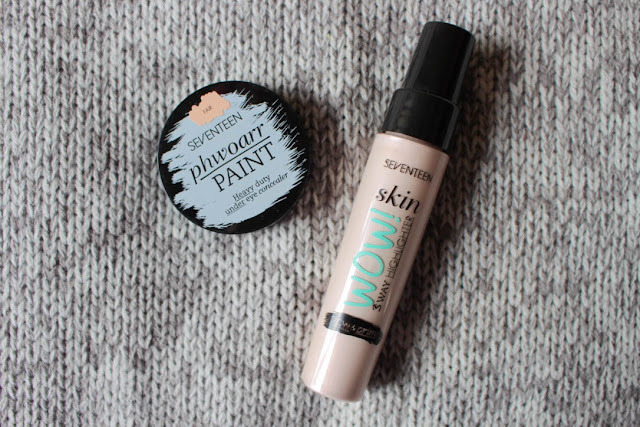 So far, I've been using it as a primer and I've been quite impressed with the glowy results. Who can resist going into Boots and not having a look at the Barry M stand!? I picked up the shade 'Sugar Plum' from the Gelly Hi Shine range, which as you can guess is a lovely sugar plum/pink/purple shade. It was actually quite hard to get a hold of in my local Boots as it's only shade they've added to the Gelly range since it's been all about the Speedy Quick Dry range, which I also love. I also picked up the shade 'Atlantis', a gorgeous glittery top coat with flecks of pink, purple, gold and blue. I think the two will look lovely together! I also added to my ever-growing Real Techniques collection and bought the Powder Brush. For ages I've been using the Duo-Fiber Face Brush from the Nic's Picks collection to apply my powder, but I just fancied using something different now that Summer's here. I can't believe I didn't buy this sooner, I don't think I'll ever have too many Real Techniques brushes! It's not very often that they stock any higher end make-up in my local Boots, but when they do, it's in the form of mini's. After reading tonnes of mixed reviews about the Benefit - They're Real! 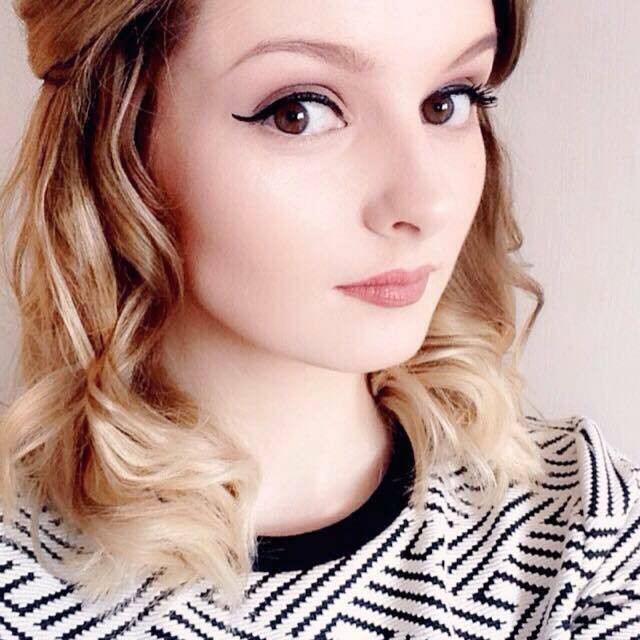 Push-Up Liner, I was unsure whether to get it or not. So, I thought I would pick up a mini and give it a go anyway. I'm still unsure how I feel about it, but I'll let you know in the future. 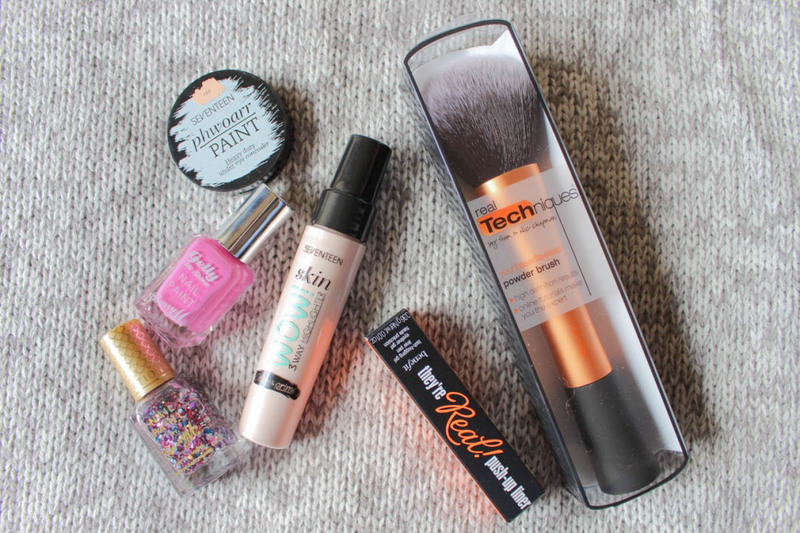 A great selection of products, I have the Seventeen Highlighter and love it. I love Benefits They're Real Mascara so I bet I'd love the liner too, but then again all these mixed signals about it have me second guessing it. Oooh lovely haul - super pretty nail polishes, definitely need to check out that concealer! Oh god, the classic 'I'm just popping into Boots to get cotton pads/nail polish remover/razors' then emerging 3 hours later with no money and a full new face routine. I know it well! The only product of these that I've tried is They're Real, and since I first bought it 3 years ago I've repurchased it every single time I've run out. HG fo real. Good luck with it; I find it works best if you just do one eye after the other until you've got the desired effect. 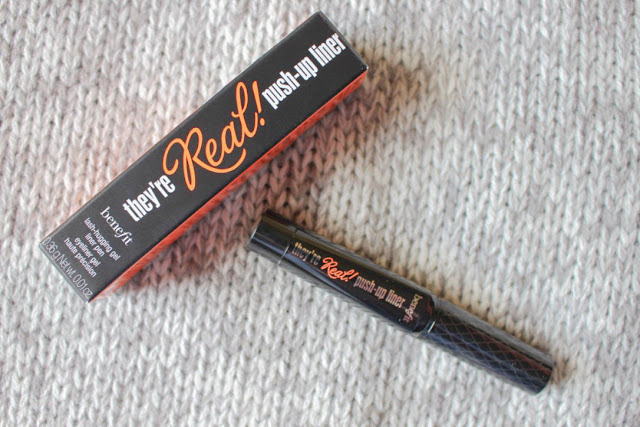 The only mascara I don't let dry between because then it goes really clumpy. The real techniques brushes are really amazing especially for the price! You can't go wrong! 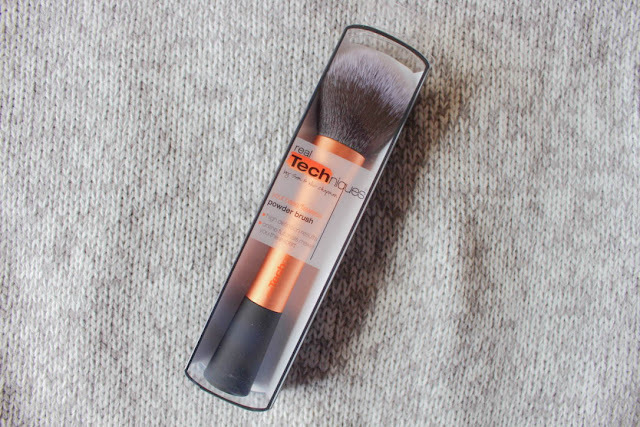 The real techniques range of brushes are my complete favourites, the expert face brush is a saviour for sure. Always leaves me feeling photo ready.